THE Assembly today (Tuesday 5 November) backed a motion brought forward by Fisheries Minister Michelle O’Neill to provide a funding scheme for new satellite tracking devices for fishing vessels. 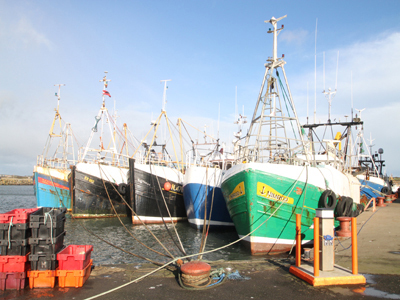 A fisheries’ scheme has been put in place by DARD to provide funding for vessel tracking devices. Speaking in support of the motion for the scheme the Minister said: “As part of the requirements of the Common Fisheries Policy fishing vessels over 12 metres in length must fit satellite tracking devices and transmit their position every two hours to the fisheries authorities. This has been a requirement for vessels over 15 metres in length since 2005 and for smaller vessels since 2011. Larger vessels have been using such equipment since 2006 whilst smaller vessels have yet to be equipped. The Minister added: “The cost of the systems will be around £1,500 per vessel and this includes reasonable installation costs and a three year warranty. Arrangements have also been put in place to pay the supplier directly once the system is installed, so that vessel owners will not have to pay any money up-front. All the applicants have to do is complete an application form and arrange with the supplier for a suitable date to fit the equipment.